In this 5-day course, you will learn day-to-day management tasks, including how to manage software, client health, hardware and software inventory, applications, and integration with Intune. You also will learn how to optimize System Center Endpoint Protection, manage compliance, and create management queries and reports. 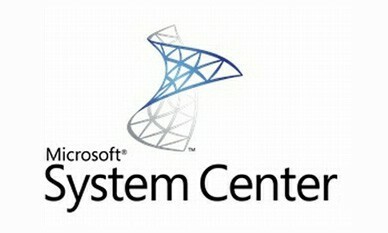 You’ll also learn about undocumented behaviors and features of SCCM in production environments. You’ll explore 3rd party resources like deployment tools and application management tools. The labs cover the gamut – deploying operating systems, deploying applications, and configuring desktop computers with SCCM. Additionally, this course, in conjunction with Microsoft Official Course 20695C, also helps certification candidates prepare for Exam 70-696: Managing Enterprise Devices and Apps. This module describes the features that Configuration Manager and Intune include, and it details how ou can use these solutions to manage PCs and mobile devices in an enterprise environment. • Describe the Configuration Manager architecture. • Describe the management tools that you use to perform administrative functions for Configuration Manager. • Describe the tools that you use to monitor and troubleshoot a Configuration Manager site. • Describe the Configuration Manager queries and reports. • Configure boundaries and boundary groups. • Configure the Exchange Server connector. • Configure the Microsoft Intune connector for mobile device management. • Configure user and device collections. This module explains the supported operating systems and devices, the software requirements, and the different methods for installing the Configuration Manager client. This module also describes some of the default and custom client settings that you can configure. After installing the client software, you can configure the client settings to perform routine management tasks. • Describe the requirements and considerations for installing the Configuration Manager client software. • Deploy the Configuration Manager client software. • Configure and monitor client status. • Configure and collect hardware and software inventory. • Prepare the infrastructure for content management. • Distribute and manage content on distribution points. • Describe the application management features of Configuration Manager. • Configure and deploy virtual applications. • Configure and deploy Windows Store apps. • Describe how the software updates feature integrates with Configuration Manager. • Prepare the Configuration Manager site for software updates. • Manage the evaluation and deployment of software updates. • Configure automatic deployment rules. • Monitor and troubleshoot software updates. • Configure Endpoint Protection to detect and remediate malware and security vulnerabilities. • Configure, deploy, and manage Endpoint Protection policies. • Describe compliance settings features. • Manage resource and data access. • Describe how to prepare a site for operating system deployment. • Describe the process used to deploy an operating system image. • Describe mobile device management. • Manage mobile devices with an on-premises infrastructure. • Manage mobile devices by using Configuration Manager and Intune. • Manage settings and protecting data on mobile devices. • Deploy application to mobile devices. • Explain how to use the default security roles. • Explain how to add an administrative user to Configuration Manager. • Explain how to use reports for role-based administration.